We give you more house for less money with highly functional floor plans, special features, and custom features. We also help you get priority financing including the lowest interest rate loan available with no-money-down options for VA and USDA loans. Our rigorous construction methods are designed to ensure that your home has and will be built with precision and delivered as promised. We strive to provide a unique consumer inspired approach customizes the home building experience and ensures our homes are built for the way homeowners live. Our job doesn't end with the sale of your new home, we have a dedicated service team to deal with any issues you might have after moving in. Maintenance since 1986, Vestal Property Management has stuck by a commitment to quality and excellence, and our experience has served us well. Our philosophy is to preserve or improve the enjoyment and dollar value of our properties through personal attention and regular supervision. At Vestal Property Management we pride ourselves by offering personalized and professional services to both our clients and customers. We realize the importance of maintaining a professional, courteous, and experienced staff. Our marketing strategies are up-to-date. Our software systems allow us to maintain strong relationships with homeowners and tenants. Several of our staff members hold a NC Real Estate License. We encourage our staff to keep themselves informed of current trends and developments. We also pride ourselves on regular reporting and communication to all of our clients. Our goal is to create a solid business relationship with our homeowners. We advertise properties, screen prospective tenants, negotiate contracts and leases, and collect rent. 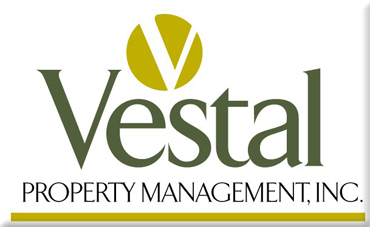 We expect the best at Vestal Property Management. We provide regular maintenance. We have our own 24-hour, on call, emergency maintenance staff to protect our homeowners. By offering these quality services, maintenance requests and complaints are reduced while resident retention and positive relationships are increased. Looking for a rental home? Use Quick Search or Map Search to browse an up-to-date database list of all available properties in the area, or use my Dream Home Finder form and I'll conduct a personalized search for you. If you're planning to rent your home in the next few months, nothing is more important than knowing a fair asking price. We would love to help you with a FREE Market Analysis. We will use comparable sold listings to help you determine the accurate market value of your home.